Symbiosis is inspired by the interdependent origination of all things. Reflecting systems of growth, differentiation and self-organizing principles, the final images were not predetermined; each gesture was made intuitively and organically through repetition, the accumulation of materials and the chance occurrence of process. 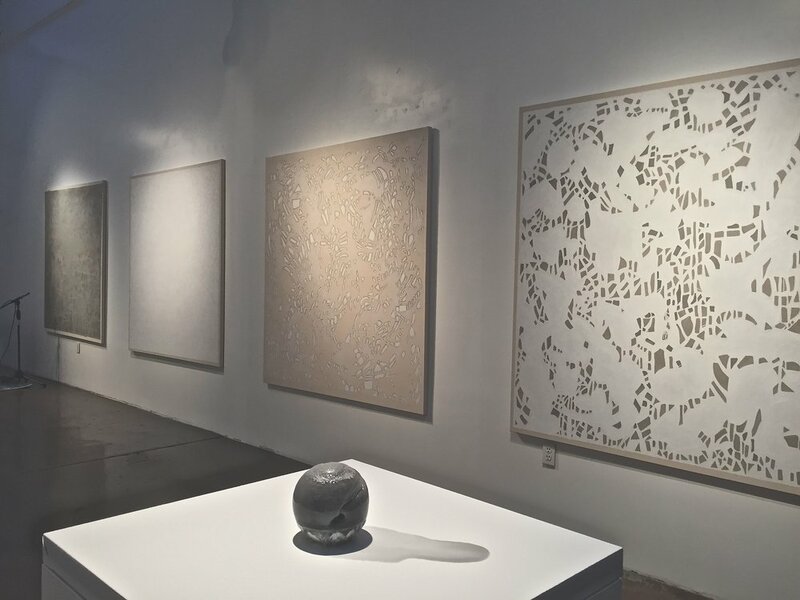 Reflecting the symbiotic relationship between natural forces and those generated intentionally by the human hand, the paintings in this series speak to the intimate connection between the two and how both processes though dissimilar might influence and benefit the other. The magic that arrives results from the equilibrium between what is intended and what is achieved, a process that results neither from control over these forces nor surrender to them, but rather from an consummate immersion within them. This series of four large paintings was created during the Ark Project’s first artist in residence program in Oakland, California. 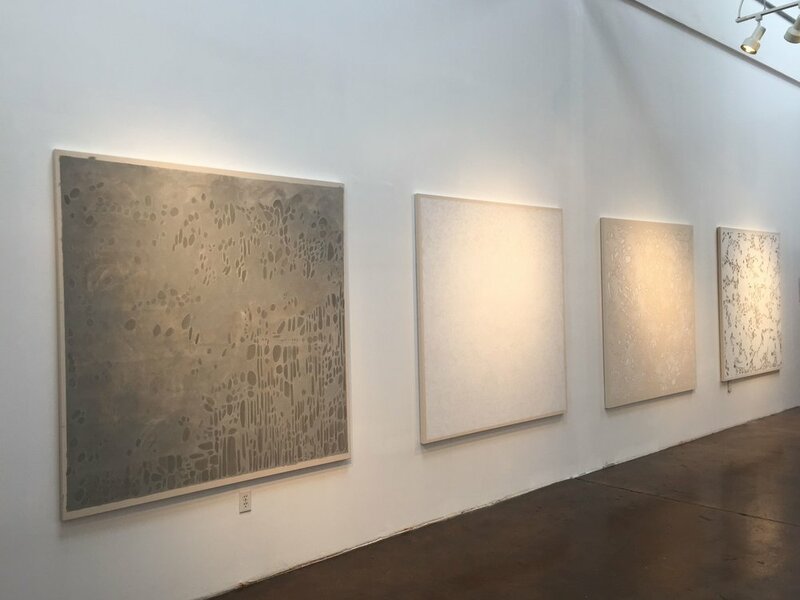 Each canvas in the series was hand stretched and created with paints made from casein hand mixed with raw and white titanium mineral pigment and chalk pastel.